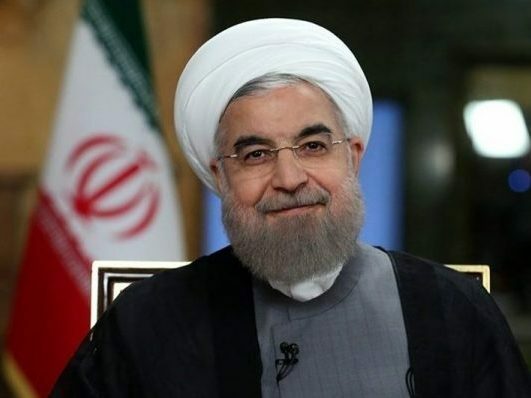 Hassan Rouhani, the incumbent Iranian president running for the second term, highlighted the role of non-oil exports, the tourism industry, as well as the medium-scale and small-scale enterprises in creating job opportunities for the country’s young labor force. Unveiling his plans for the next four-year presidential term in case of re-election, Rouhani said in a television talk show on Thursday night that strengthening the medium-scale and small-scale enterprises would allow for the creation of more than 900,000 jobs every year. Highlighting his administration’s success to achieve the economic growth of 8 percent last year, Rouhani said the steady creation of almost one million jobs per annum will re-occur in accordance with the country’s long-term development plans. He also dismissed as ill-advised the campaign pledges by certain candidates to create millions of jobs in the short term. President Rouhani further pointed to his cabinet’s success to provide 100,000 job opportunities only in the new technologies sector and Internet-based industries. He also unveiled a grand plan to enroll the unskilled university graduates, provide them with vocational training for four months, and pay them a third of a monthly salary until they are recruited. Hailing a 25 percent growth in Iran’s non-oil exports during his term, Rouhani said he would intensify efforts to boost and intensify exports. He finally referred to the tourism industry as a perfect opportunity for creating jobs rapidly and with low costs. Rouhani, 69, has been campaigning for the May 19 election along with five other candidates, namely Ebrahim Raisi, Eshaq Jahangiri, Mohammad Baqer Qalibaf, Mostafa Hashemitaba, and Mostafa Aqa-Mirsalim. In comments on Wednesday, Leader of the Islamic Revolution Ayatollah Seyed Ali Khamenei recommended the six candidates to focus on economic issues and the plans to improve the livelihood of people in their campaign pledges, urging them also to pay special attention to “national sovereignty” and the Iranian nation’s dignity in their electoral campaign.